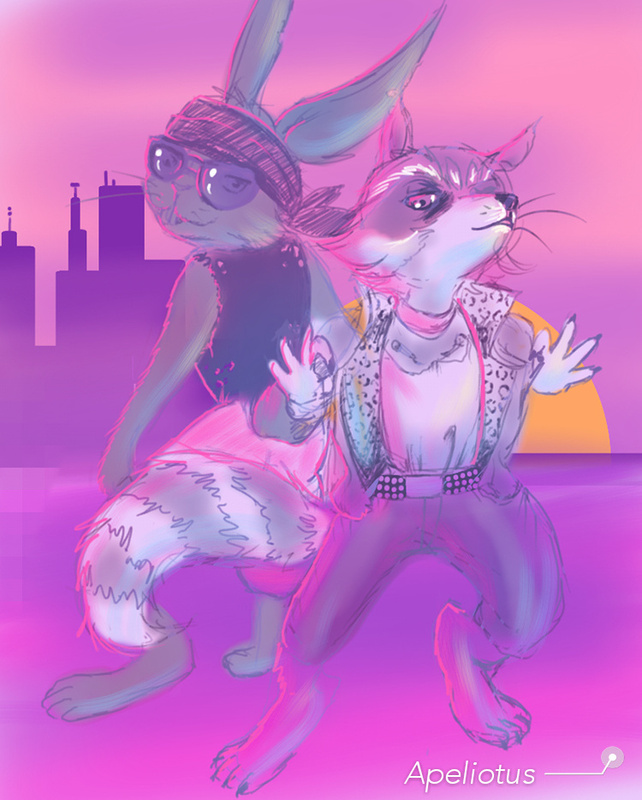 A request of Blackjack O'Hare and Rocket in 1980s glam rock style. I am experimenting with reworking how I draw Rocket. Not that I've ever been completely happy with it... but I really like how this turned out, even with all the lazy flaws.